Brooklyn Comics & Graphics: I’ll be there! I’ll be at the Brooklyn Comics and Graphics Festival tomorrow. I’m excited to be sharing a table with Yam Books! Yam Books is another 1-person prestige comic press, like Uncivilized Books and Domino Books (and Paper Rocket too!) The proprietor Rina Ayuyang is a super rad cartoonist and book maker. She’s also a killer awesome lady who is kind enough to let me crash at her table last minute. Buy her stuff! 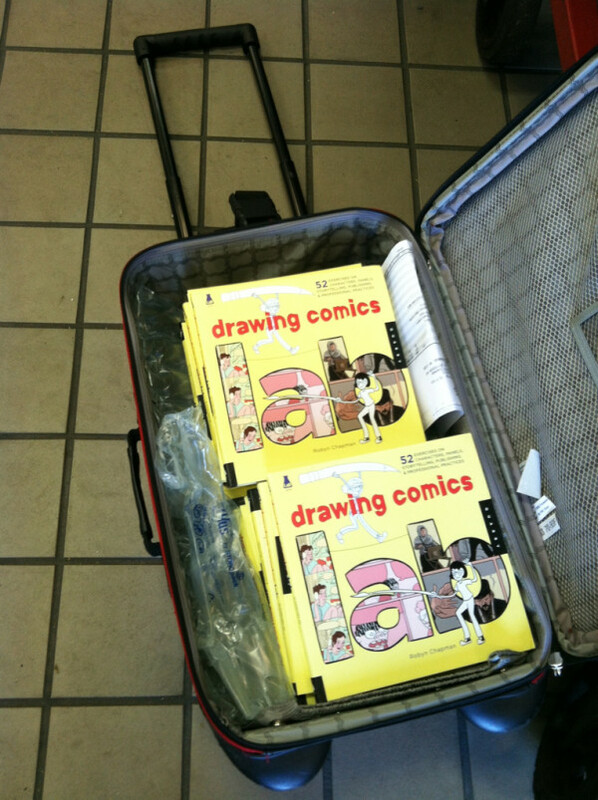 I just picked up a box of Drawing Comics Lab at the Maspeth UPS facility (always an adventure!) So hey, this will be your first chance to buy it!